“[W]e must pray God to manifest this power of His in the gospel. We must pray, for revival and reawakening, for the power of the Holy Ghost to open the eyes of men and women ere it be too late. If we really believe this teaching, we will finish this study determined no longer to live a life of ease and of rest and of enjoyment; we must feel the burden of the souls that are round and about us in millions in this lost condition . . . Let us plead, let us yearn for God to visit us with revival power; and that all who are privileged to preach the gospel, and all individual Christians as they talk to men and women, may open their eyes to these things, and may go on to tell them of the power of God unto salvation, of the righteousness of God by faith in Jesus Christ, which can make the foulest clean; of the blood of Christ, His perfect righteousness and obedience with which they can be clothed. Let us tell them that they can be washed, that they can be sanctified, that they can be justified in the Name of the Lord Jesus and by the power of the Spirit of God.” ~ D. M. Lloyd-Jones Romans 1, the Gospel of God (Carlisle: Banner of Truth Trust, 1985), 393-4. Do We Have Virtue Enough To Bear It? “There is a common saying, ‘that a republican government is the best in the world if people only have virtue enough to bear it.’ If people had virtue enough, there would be no need of any government. Government becomes necessary on account of the vices of men. Can a royal monarch, or a splendid junto of nobles, make the people happy without virtue? The great empires of the earth have crumbled into atoms for the want of virtue, as well as the most flourishing republics. How subject we are to place our eyes on the pomp and splendor of the court and overlook the miseries of the people. Those who so frequently are making the above observation, should do all they can to save and foster that government which they own is best; but for the most part, the remark is made by men who are wishing to sap the foundation of a republican government, trick the people out of their liberties, and raise themselves to a state of pre-eminence above the control of others.” ~ John Leland The Writings of the Late Elder John Leland (New York: G. W. Wood, 1845), 419. The following post is Frank Page’s first person piece about the 40/40 Prayer Vigil originally published at Baptist Press. NASHVILLE, Tenn. (BP) — In my almost two years in the role I now hold, I have traveled a great deal across our nation and some across the world. I am met with an almost universal understanding by God’s people that we are in dire need of a Holy Ghost revival in our nation, in our churches and in our lives. This refrain is repeated over and over. I have long stated that God has a plan for our nation, for our churches and for our lives. I also constantly state that Satan has his own plan for all of the above. We all agree that he has won far too many battles. God’s desire has been thwarted too long. Psalm 85:6 asked the question, “Will you not revive us again?” This cry from the psalmist is a question that all of us must ask today. When this was written, conditions in Judah were desperate as God’s people had shortly returned from the Babylonian captivity. People had expected great things from their deliverance and homecoming but the harsh realities of their return brought bitter disappointment and discouragement. There is much discouragement, disunity and hopelessness today. We find ourselves theologically and methodologically divided. We find ourselves thwarted on every hand to see our nation touched for the Gospel. One of the saddest realities of today is that personal evangelism has reached a new low of emphasis in many of our churches and has led to disengagement from lost people that frightens me deeply. Our 21st century churches to a great extent have become ease loving churches. Such being the case, too often churches are not willing to pay the price that revival costs. It is true for individuals as well. At times we hate our deadness, our lack of spiritual vitality, but we hate still more to be bothered into action. That may sound a bit pessimistic and unkind, but I am confident that this is the reality in which we live. There are many, no doubt, who would like to have a true revival, but many would also ask that revival come without much serious alteration of behavior and priority. We must understand today that revival is costly. It always has been. It always will be. My main point in this article is simply to help us realize it is time to quit talking about it and start doing what God tells us to do! His Word is clear. He has told us what must take place for revival to come. His precious Word gives the outline, highlights the need and provides the answer. Look at 2 Chronicles 7:14: “[If] my people who are called by My name humble themselves, pray and seek My face, and turn from their evil ways, then I will hear from heaven, forgive their sin, and heal their land.” Where is humility? Where are earnest prayer warriors? Where are those who seek His face? Where is genuine and life-altering repentance? Are there hearts being broken as we realize the answer to those questions? We fall far short of what God would wish. May God break our hearts and bring us to the point where we not only see the need, but we are willing to do whatever it takes to see the Holy Ghost revival fall upon our people! Frank S. Page is president of the Southern Baptist Convention’s Executive Committee. Get Baptist Press headlines and breaking news on Twitter (@BaptistPress), Facebook (Facebook.com/BaptistPress ) and in your email ( baptistpress.com/SubscribeBP.asp). The Story: The Ethics & Religious Liberty Commission (ERLC) and the North American Mission Board (NAMB) of the Southern Baptist Convention are partnering to encourage Christians to pray for 40 days leading up to the U.S. presidential election this fall—from September 26 to November 4. The initiative is called the 40/40 Prayer Vigil for Spiritual Revival and National Renewal. If . . . My people who are called by My name humble themselves, pray and seek My face, and turn from their evil ways, then I will hear from heaven, forgive their sin, and heal their land (HCSB). They have created a prayer guide as a free download in both English and Spanish in order to help participants focus on particular themes each day. There is one page devoted to each of the 40 days of prayer. The first half of the vigil begins with focused prayer for personal revival, church revival, revival among church leadership, and national revival. The second half of the vigil focuses prayer toward national renewal, wisdom for public officials, wisdom to elect the best officials, and then a final countdown of prayer. First of all, then, I urge that petitions, prayers, intercessions, and thanksgivings be made for everyone, for kings and all those who are in authority, so that we may lead a tranquil and quiet life in all godliness and dignity. This is good, and it pleases God our Savior, who wants everyone to be saved and come to the knowledge of the truth (HCSB). It is an unmerited blessing that citizens of the United States have the privilege and civic responsibility to participate in the election of leadership at various levels. Whether or not believers participate in the same method of prayer as the election approaches, it is worthy of our attention to consider if and how we intend to specifically follow Paul’s exhortation in 1 Timothy. Will we pray for those in elected authority, that God will so work in them to make decisions that will foster growth in godliness? Will we pray for those in elected authority, that God will work in them to create an environment favorable for the spread of the gospel? Will we pray for a great awakening and revival in the lives of Christians and churches in the United States? The ERLC and NAMB are aiming to enable Christians to answer yes to these questions and to faithfully obey Scripture during the upcoming election season. Noah Braymen contributed to this post. Noah blogs at No Other Name. Matt Smethurst is an assistant editor for The Gospel Coalition. You can follow him on Twitter. As we pray for pastors let us pray that their work and joy would be centered on God’s work in the gospel, and that they would be clothed with the garment of salvation as John Leland speaks of in this quote. 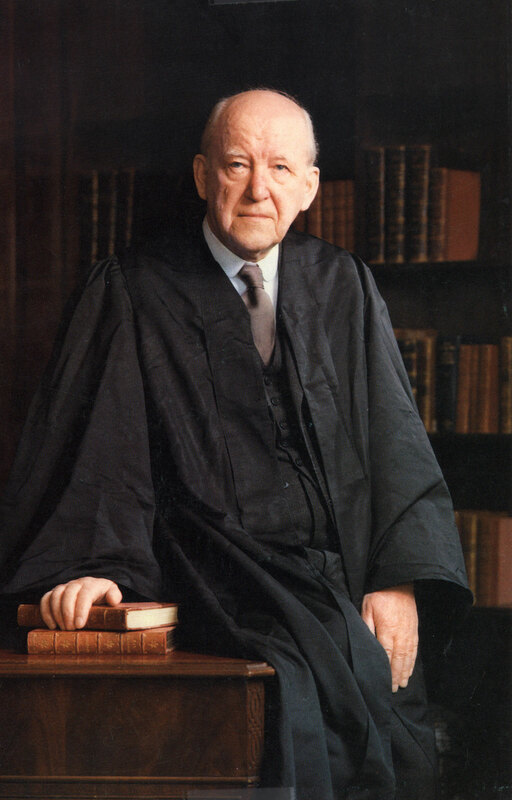 “It is of primary importance, that the preacher should be clothed with the garment of salvation; that he should be filled with a sense of the immense worth of the truth, the guilt, depravity and danger man is in; the unsearchable love of Christ in the bloody purchase, and his ability and willingness to save redeemed penitents. Without this robe, he will preach a distant Jesus, by an unfelt gospel, with an unhallowed tongue. And all the self-made zeal, pretended piety, loud voice, hypocritical tears, and agonizing gesticulations that he may assume, will not supply the lack.” ~ Leland, John The Writings of the Late Elder John Leland (New York: G. W. Wood, 1845), 679. This is the 3rd in a series of 3 posts of Dr. Tom Elliff’s chapter “Praying for Genuine Revival”. To see part 1 click here, and to see part 2 click here. Again we are appreciative to CLC Publications for generously giving us permission to publish this chapter in its entirety on our blog from A Passion for Prayer, Experiencing Deeper Intimacy with God. To purchase this book click here. God’s familiar promise to Israel is one that we can claim as well: “If My people who are called by My name will humble themselves, and pray and seek My face, and turn from their wicked ways, then I will hear from heaven, and will forgive their sin and heal their land” (2 Chron. 7:14). It is remarkable that in spite of our sin, God desires to keep the way open for fellowship with Him. This is irrefutable evidence of His long-suffering grace. These conditions in no way diminish the fact that restoration is ultimately a sovereign work of God, not something He is obligated to do because of some sort of merit in us apart from the work of Christ. God moves toward those whose lives exhibit these characteristics simply because He chooses to do so. A coach can put any team member he chooses into the game; but in making that choice, he will be predisposed to use those players who have diligently conditioned themselves for competition. Similarly, if we desire to walk in fellowship with the sovereign God of heaven, we should earnestly pursue the conditions presented in Second Chronicles 7:14. Note carefully the character of this restoration. It is three-fold. God first states that He will hear the pleas of our heart. Since we know that God has repeatedly told us He wants our fellowship, we can trust that it is His will for us and can claim the following promise: “Now this is the confidence that we have in Him, that if we ask anything according to His will, He hears us. And if we know that He hears us, whatever we ask, we know that we have the petitions that we have asked of Him” (1 John 5:14-15). Second, God will forgive our sins. “If we confess our sins, He is faithful and just to forgive us our sins and to cleanse us from all unrighteousness” (1 John 1:9). This is not a forgiveness to grant salvation – the subjects of this passage are already children of God. Instead, the kind of forgiveness and cleansing mentioned here is that needed for the day-by-day maintenance of intimate communion with God. Finally, God promises to heal our land. Many times we talk about the sickness of our nation, we are in reality only speaking of the symptoms or evidences of sin. But when the Lord heals our land, He moves straight to the cause of those symptoms by bringing cleansing and restored fellowship. Speaking to sinful Israel, God urged, “‘Come now, and let us reason together,’ says the LORD, ‘though your sins are like scarlet, they shall be as white as snow; though they are red like crimson, they shall be as wool. If you are willing and obedient, you shall eat the good of the land; but if you refuse and rebel, you shall be devoured by the sword’; for the mouth of the Lord has spoken” (Isa. 1:18-20). A friend has said to me on more than one occasion, “If God is silent, it’s your move! The ball is in your court.” If besetting sins have disrupted our fellowship with God, we must hurry to the place of prayer. Our eager confession will be met by God’s forgiveness – and fellowship will be restored! 1. Are you generally enjoying unbroken fellowship with God? Why or why not? Do you find it easy or difficult to see the sin in your life the way God sees it? Do you rationalize or acknowledge your proneness to wander? Why? Talk this over with God now. 2. How do you generally respond to God’s conviction or chastening regarding sin in your life? Why? With what results? Do you really believe God chastens you because He loves you? When you turn back to Him, is He waiting with open arms, like the father of the prodigal son? Discuss this with God now. 3. Have you experienced God’s restoring power in your life? Do you need to seek that now? Which of the six conditions in Second Chronicles 7:14 do you most need to obey today? Pray to God about this right now. Used by permission of CLC Publications, P. O. Box 1449, Fort Washington, PA 19034, and the author Tom Elliff, president of the International Mission Board of the Southern Baptist Convention. This is the 2nd in a series of 3 posts with Dr. Tom Elliff’s chapter “Praying for Genuine Revival”. To see part 1 click here. God insists that restoration of fellowship is directly related to our willingness to see the wickedness of our sin – to see our disobedience as He sees it (2 Chron. 7:14; 1 John 1:8, 10). Sin is disgusting to God. Though He shows grace to repentant sinners, He cannot look upon sin itself with the least degree of tolerance. “But the wicked are like the troubled sea, when it cannot rest, whose waters case up mire and dirt. ‘There is no peace,’ says my God, ‘for the wicked’” (Isa. 57:20-21). While the sin of the lost world is repulsive to God, the sins of His people are even more so! If we confess, He forgives and cleanses; but if we refuse to admit our transgression, He will not restore the fellowship we have so foolishly broken. Imagine, for instance, a man who after a beautiful time of courtship finally rejoices in the privilege of taking his beloved as his wife. She becomes the focus of his love, the object of his affection. He lives for her and sacrifices all for her. When he is away from her, his thoughts center around the great joy of having her as his wife. She is on his mind and heart night and day. He always carries her picture with him and proudly tells others how blessed he is to have her as his wife. He would bend heaven and earth to fulfill her every request. She is the great love of his life. But what this faithful and dedicated man does not know is that secretly, through the years of their courtship and now their marriage, she is a practicing prostitute. During the day, while he is at work and dreaming of her, she is in one adulterous bed after another. Though he remains faithful to her, she has lost count of her lovers. Imagine the heartbreak when he discovers the truth. The true church, comprised of all who have truly received Christ as Savior, is the bride of Christ. He died for her, and now He lives for her. His heart’s great desire is that she may be presented one day before the Father, pure and holy in her radiant, righteous apparel. But she is sometimes a prostitute, and God knows it. Her sinful flirtations and outright adulteries with the world pierce His heart moment by moment and will continue to do so until the day He calls His bride home to heaven. We, members of that church, redeemed but sometimes unfaithful, have played the harlot with the lover of our souls. How repulsive our sin must be to our Savior! How must we wound His heart – He who shed His life’s blood to cleanse us from our moral corruption! The brokenness that attends personal spiritual revival comes when God’s people begin to see their disobedience as God sees it and to acknowledge its awfulness. Historically, in the early days of great revival movements, there were not so much songs of joy as there were weeping prayers of repentance. Believers on the verge of spiritual awakening are usually found on their faces, crying out before the Lord about the repulsiveness of sin in their lives. They have a fresh appreciation for the fact that God’s people must not continue in widespread wickedness, because they have been born of God (see 1 John 3:6-9). God’s first response to our sin is to bring conviction to our hearts. To do this, the Holy Spirit employs the Word of God, which is “living and powerful, and sharper than any two-edged sword, piercing even to the division of soul and spirit, and of joints and marrow, and is a discerner of the thoughts and intents of the heart” (Heb. 4:12). God speaks to us through His Word about the sin in our lives. Just as a mirror reveals how we look to others, the Word of God reveals how we look to Him. The Holy Spirit uses the Word much like a sailor uses a compass, showing us where we have strayed from the course He has charted for our lives. Scripture plainly teaches that chastening (God’s response to persistent sin) is so common for a believer that the failure to experience it indicates that an individual is not actually a child of God. We must all beware of falling prey to sin, whether overt or more subtle. David saw presumptuous sin as a most serious matter. Listen to his plea: “Keep back Your servant also from presumptuous sins; let them not have dominion over me. Then I shall be blameless, and I shall be innocent of great transgression” (Ps. 19:13). We should remember that although David occasionally sinned greatly, when he was confronted by the prophet of God, his heart melted and his spirit was broken. God has committed Himself to deal with all sin in the believer’s life. He may do it through conviction, chastening or death. But above all, He wants us to turn away from sin so we can return to Him, come back to His table and enjoy restored fellowship. Like the prodigal son, fellowship with our Father awaits us at the end of the road of repentance. (1) Pray for 40 days: Pray once each day between September 26 and November 4, for forty days of prayer. (2) Pray for 40 hours: Pray for forty hours, between 4:00 p.m. on November 2 and 8:00 a.m. on November 4. Will you pray with us this fall? Read the "About" page, subscribe to the blog, follow us on facebook and twitter, and download the FREE Prayer Guide below to get started.